На этой странице Вашему вниманию предлагается подборка писем о Москве, написанных моими учениками. Задания взяты из учебника Е. С. Музлановой "Английский язык. Экспресс-репетитор для подготовки к ЕГЭ: «Письмо» ООО «Издательство Астрель» 2012 г. You have received a letter from your English-speaking pen-friend. …I’ve always wanted to visit Moscow so it’ll be great to spend a week at your place. Any ideas as to what we might do? Should I bring any special clothes? Do let me know if there is anything I can get you from England? Write a letter to Gloria. It was nice to hear from you again. 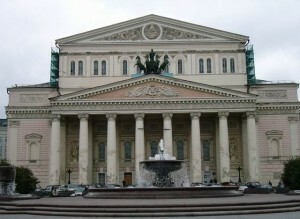 I can’t wait to see you in Moscow! Guess what! We’re going to take a hot air balloon ride above the city that’s why bring a hoodie and a pair of jeans in order not to get cold. What about visiting the Bolshoi Theatre? I could order the tickets beforehand. Also I think that St. Basil’s Cathedral which is a famous landmark is a must to see for every visitor. I’ll be glad if you get me a book with pictures of London and some magnets for my collection. By the way, my mom wonders if she needs to cook something special for you. What kind of meat do you prefer? Do you like spicy food? Would you like to try any Russian dish? What kind of meat do you prefer? What fruit do you like best? What do you usually have for breakfast (dinner)? What juice would you like for breakfast? Have you ever eaten borsch/cabbage soup? Would you like to try any Russian dish? Would you like to have your porridge with salt or sugar? Do you like sea food? Do you like hot spicy food? You prefer fish to meat, don’t you? You don’t drink fizzy drinks, do you? Don’t you mind eating home-made wholesome food? Shall we cook anything special for you? 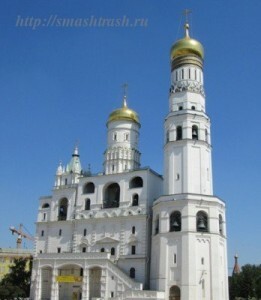 …I’m going to visit Russia in July. I’ve read a lot about Moscow but I’m especially interested in its history. What historical sites and museums would you recommend me to visit? 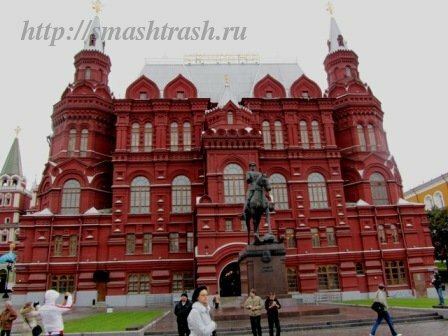 Is museums entrance fee high in Moscow? Are there any weekdays when the entrance is free for students? Do they allow taking pictures inside? Well, I must finish now because I’ve got an exam tomorrow. Write back soon and tell me all your news. I was glad to receive your letter. Hope the exam was a piece of cake for you! I'm looking forward to seeing you at my place! We are going to have an unforgettable fortnight in Moscow. I’m also keen on history so we could start sightseeing from the Kremlin and its tremendous cathedrals, Red Square and the Historical Museum. I’m sure St. Basil’s Cathedral will strike your imagination. You won’t regret the idea of spending a day out in Tzaritsyno national park, either. As a rule, taking pictures is allowed but you shouldn’t use flash. The ticket prices aren’t very high (are quite reasonable). Unfortunately there are no special days for students when the admission is free. By the way, what mark did you get in the exam? What airport will you arrive? Is it a night flight? What subject did you take the exam? Was it difficult or easy to pass the exam? What mark did you get in the exam? You passed your exam with flying colours, didn’t you? How long are you going to stay in Moscow (in Russia)? Would you like to visit any other city except Moscow? What places of interests do you want to visit ? What airport will you arrive at? Will you arrive at Domodedovo or at Sheremetievo? What date are you coming? Is it a night flight? Would you like me to meet you at the airport? Will you have a lot of luggage? …One of my friends has been recently invited to spend a couple of weeks in Moscow this summer and it’s going to be his first time coming here. What places of interest and historical attractions would you recommend for him to see? What are your favourite ones? I’m sure there are a lot of lovely places here to spend a night out. Where should he go first? Write a letter to Ann. Hi! I’m very glad to hear from you again. I think, your friend is really lucky to spend a fortnight in such magnificent city! He might spend a night out visiting one of the numerous theatres or night clubs. For example, my friend and I like hanging out at the FAQ-Café-Creative -Studio. They often hold very exciting body-art parties here. By the way, what kind of sport is your friend fond of? How long has he been going in for sport? Has he got any sport awards? If you are a Muscovite, please, add some more places of interest in Moscow to visit. Leave your comment under the article.